You don’t have to look too far to find a woman’s story worth sharing. And in 2019, it’s imperative that the young women of our generation pay homage to the females who have been following their dreams for decades and overcoming all odds. At Victory Centre of Sierra Ridge, we’re sharing encouraging anecdotes from residents with a lifetime of knowledge under their belts. For Vivian Banks, a 13-year resident of Victory Centre, she has a life of adventurous travel she fondly looks back on. From working in the post office in Washington D.C., Vivian uprooted her life to see the world. She awed at Mount Rushmore, took a bus down to Cancun where she sailed in the Pacific Ocean and even safaried through Nairobi, Africa and witnessed the beauty of lions, elephants and more. Another 13-year resident of Victory Centre, Shirley Sergott has been overcoming obstacles since birth. Born with cerebral palsy and having had learned to walk with two leg braces and a back brace, Shirley considers herself anything but disabled. “I was a fighter,” she points out. 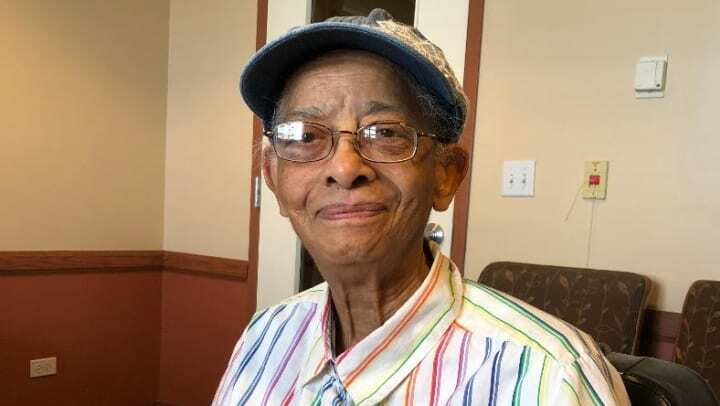 Before retiring in Harvey, Illinois, Shirley had a career to be proud of. She transcribed legal documents in the city, ran switchboards in both Chicago and California and worked as a salesperson at Sears – the least favorite memory on her resume. Finally, Norma Avery doles out advice to women raising families. The mother of six has dedicated a life to caretaking. Born in Little Rock, Arkansas, Norma – along with her mother and aunt – moved to Chicago to pursue a better life. “I’m an independent person,” she shares. She credits that independence to the women who raised her and worked hard to instill the same values in her own children. We hope you remember that a wealth of knowledge and inspiration is often only a question away. Ask the women in your life about the moments that defined their life – because it might help define yours! The Victory Centre of Sierra Ridge is a community featuring 109 supportive living apartments for adults 65 and over and 105 independent living apartments for adults 62 and over. Residents at the Victory Centre of Sierra Ridge are older adults who are excited about life and the path ahead. People are celebrating the phase of life that offers them the freedom to live to the fullest and find a reason to celebrate – every day.